Friends, developers, SEO companies or SEO consultants may want to see how well your website is performing. This is how you can give them access to your Google Analytics account. For security and control I suggest you always add other people as users and don't pass around your own login details. Your Google account has access to a lot if things and access would allow people to act online as you! Anyone who wants to access Google analytics must have their own Google account. Once they have an account they will need to send you the email address associated with that account. Make sure your on the right Account/Property then select User Management from the ACCOUNT or PROPERTY section. Enter their email address. It will tell you if they have a valid Google account. Chose what permissions they should have. See later. 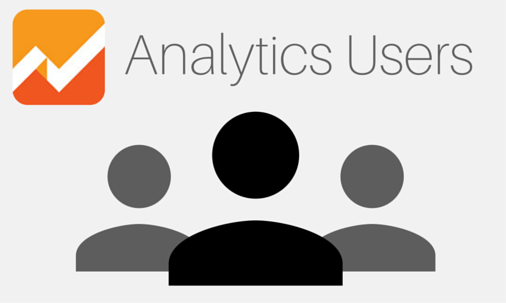 Decide if you want Analytics to inform them that they now have access. Click Add and its done. In step two you can control if the user will only have access to the one website (Property) or to your whole Account and all the websites it may track. If you are adding outsiders then you may want to limit them to just access to the website (Property). If that's the case make sure you have selected both the correct Account and Property, then click on the User Management option in the Property section. In step four you can chose what powers the user has. Their User permissions document helps explain what each allows them to do.